This tool/software saved my as* a couple of times now. This is a must-have for computer technicians and even for normal PC user. It's amazingly simple yet effective removal tool for malware, rootkits, worms, trojans, viruses, spyware and other malicious programs . Detection capabilities of MBAM is great, , as claimed by the developers, many times it discovered malware like rootkits, worms, trojans, viruses, spyware and other malicious programs that weren’t detected by other anti-malware programs like anti-viruses and anti-trojans. MBAM was also able to detect the recent XP Antivirus 2008/2009 malware programs and removed this crap entirely. I am even more enthousiastic about the cleaning capabilities of MBAM, all discovered malware was cleaned/removed 100%, without leaving any traces. MBAM offer support for Windows 2000, XP, and Vista, and is free. However, the full (paid) version unlocks realtime protection, scheduled updating and scheduled scanning. If you like the program, I advice to opt for the full version. Price: a one time fee of $24.95. That's cheaper than hiring a computer technician to do the same job. 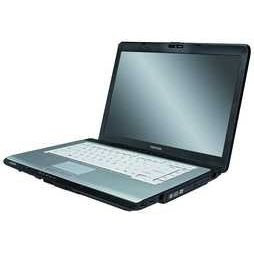 The picture above is Toshiba Satellite A215-S5822, originally having Windows Vista installed. As we all know, majority of the people prefers Windows XP over Windows Vista. The problem is the WinXP driver availability of Toshiba Satellite laptops. I downgraded one into Windows XP just a while ago and I faced the problem about the driver issues. I easily installed majority of the components except for the wireless network device or wifi and the built-in webcam. So I'm uploading these drivers for those people who have a hard time finding those mentioned drivers.